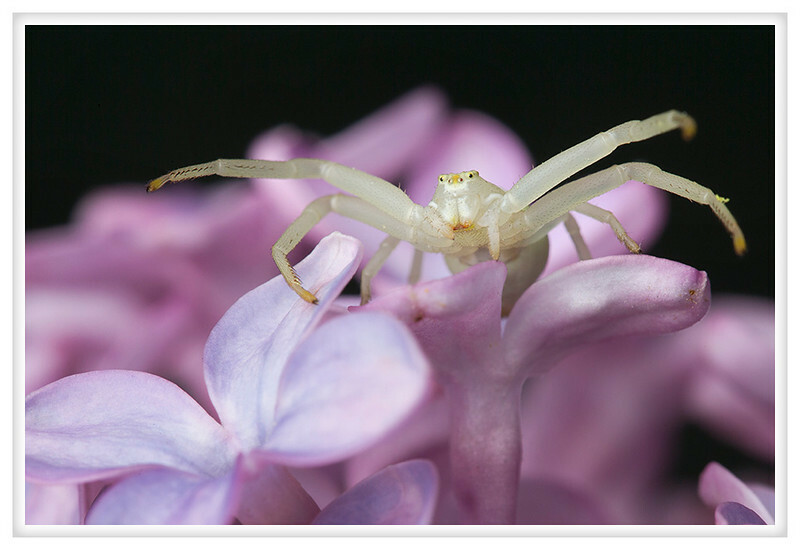 I am so excited that I found my first crab spider of the year this afternoon. While walking under the lilac in my backyard I saw this little guy poised to grab a snack. This is one of my favorite sights, I love insects but spiders are my special favorite.